Our Italian Food, Wine & Travel group is exploring Umbria and its powerhouse sagrantino grape. Outside of the well known red grapes of Italy, I long have appreciated this grape along with aglianico I shared last week. Anytime there is an opportunity to talk about these wonderful wines and try some I’m all about it. In the past I wrote a comprehensive guide to sagrantino that you can reference as well as some other blogs about sagrantino and Montefalco where it originates. 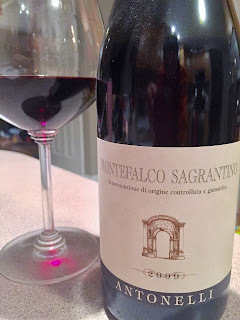 Today I share sagrantino from the Antonelli family in Montefalco. The Antonelli family has owned the estate since 1881 and currently live in Rome, but are originally from Umbria in the town of Spoleto. Many of the Antonelli family members are lawyers that invested in the winery and management of the estate. It’s funny how many folks I have met in the industry that started as lawyers and got pulled into the industry. It’s a career path that leads one to drink I guess. Filippo Antonelli has been involved with the winery since 1986 as well as managing another estate, Castello di Torre in Pietra. He served as President of the Consorzio Tutela Vini Montefalco for 10 years ending in 2006. Even though sagrantino can be a powerful grape their aim is to be able to provide drinkable wines that show elegance via using moderate wood aging and gentle extraction. Plus, they are also now producing certified organic wines as of 2012 starting with their Grechetto Colli Martani. The winery mostly produces sangiovese, sagrantino, montepulciano, merlot and cabernet sauvignon for red grapes. For white grapes their focus is on grechetto and trebbiano spoletino. Sagrantino is a grape indigenous to the area of Montefalco in Umbria. 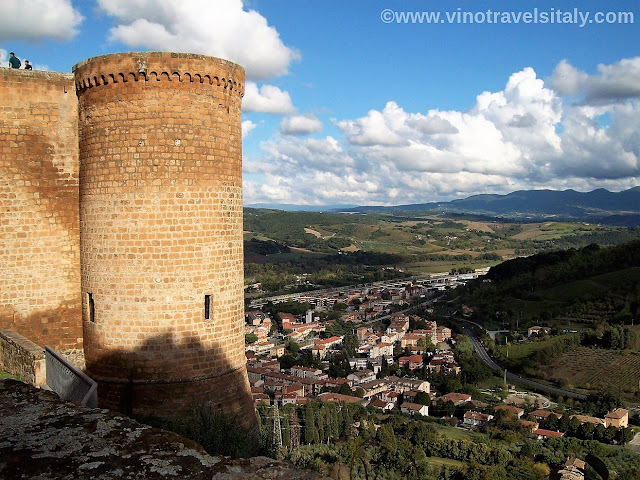 Montefalco is a town that lies just south of Assisi and is situated amongst many hills. Umbria is the only land locked region of Italy located in central Italy. It always amazes me how many people flock to Tuscany when within a short distance you can be in Umbria and avoid many of the overwhelming crowds and still get that Italian charm. I’ve been to a number of towns in this region including Assisi, Orvieto and Perugia to name a few. 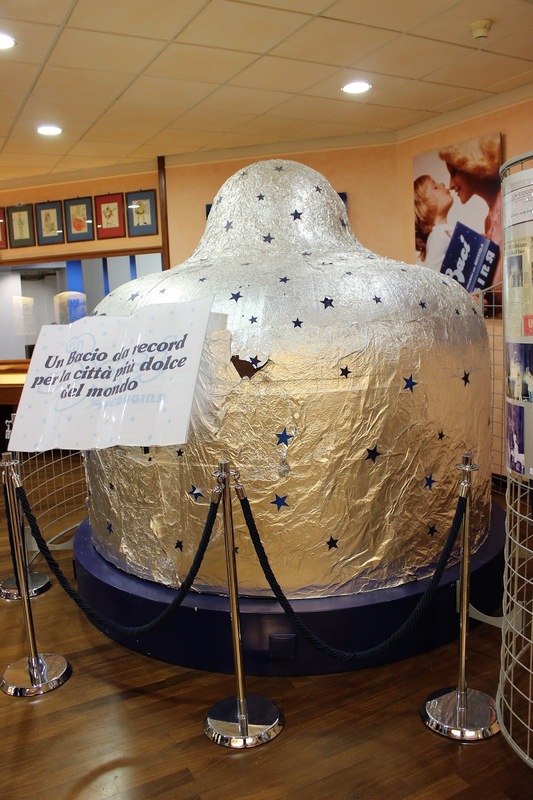 If you’re a fan of chocolates, Perugia is a must visit. Sagrantino is a grape not for the light wine hearted. The rich tannins, full body and structure, big flavors and acidity in this wine make it a wine best suitable for long term aging. At least for me these are some of the wines I love the most. There are typically so many characteristics and components that evolve in the glass. It’s amazing how this wine even tastes 24 hours after it has been opened because of its structure. This wine stands up for itself to many of the other big players of Italy, but like many is not highly marketed nor understood so falls under the radar for many. That’s why I’m here! If you’re drinking a sagrantino di montefalco it is produced 100% from sagrantino by law. It also must age at least 2.5 years before it’s released to the market, but again this ideally isn’t a wine you’re going to drink in its youth. *This wines was provided as a sample, but opinions are my own. I agree - bypass Tuscany in favor of the quiet charms of Umbria! I haven't been in many years but remember my time in Perugia vividly. As for the wine, this was my first go-round with Sagrantino and it was eye-opening! I look forward to learning more about it. A nice article where I learned something new, I did not know much about this winery before. The Sagrantino is indeed a tough wine to make but when it is done well it gives a beautiful wine. It's funny in the last four months I've had a half dozen or so Sagrantino so it was convenient Jeff chose this grape. After researching the region/grape Umbria got bumped to the top of my visit list! People are familiar with Tuscany but as you say, they're missing out by not going to Umbria. I also have the Antonelli in my store...I's a cool $75 bucks though. However, I will be featuring it in my Native Grapes of Italy tasting when I do Central Italy! Gotta do a Sagrantino! I think you're right about the law driving lawyers to drink! I know there are so many ex-lawyers who have been bitten by the wine bug. I'm definitely going to have to make Umbria a stop on my next visit to Italy. And the part about the law driving people to drink cracked me up! I think it's probably very true!